More than a just a trip or a vacation, a visit to Israel is a singular spiritual experience without equal. Israel, and in particular Jerusalem, holds profound meaning to millions of people and is holy ground to Christians, Muslims and Jews. Last year, my family traveled to Israel, a long overdue first visit for my two older teens. We covered a lot of ground in just a few days before traveling on to Tel Aviv. Looking for kosher restaurants? Angelica is an upscale, elegant restaurant with a creative menu offering many seasonal grilled dishes. The owners recently opened Grand Café, another kosher restaurant in Bakaa, a pretty neighborhood in the German Colony. Foodies flock for their impressive Israeli breakfast, served throughout the day. By the Mahane Yehuda market, popular Topolino serves vegetarian Italian. It’s quiet in Jerusalem on Shabbat…Café Paradiso, of the few restaurants open on Saturdays, is very popular for lunch. No matter where you go in Israel everything is very casual, you do not need to dress up for dinner. Get in the mood before you go…watch the 1981 mini series Masada starring Peter O’Toole and Peter Strauss. Want to recreate some of the delicious meals you had in Israel order two of our favorite cookbooks: Janna Gur’s excellent The Book of New Israeli Food and Jerusalem: The Cookbook by Yotam Ottolenghi and Sami Tamimi. Stay: Many friends urged us to stay at the historic King David, where dignitaries, celebrities, and Presidents have slept. Why? The answer was always ‘because it’s legendary’…’I’ve been staying here since I was little’…’it’s the most famous hotel in Israel.’ Well, even legends get tired, and I had heard the King David was no different. Hip Israelis I know steered us towards the cool, contemporary Mamilla Hotel –it had a definite wow factor immediately upon walking in. The striking design shines in all the public spaces and restaurants. They have the libations covered as well, with pre- dinner drinks (and great views over the old city) from their rooftop bar and a cool late night scene in the lobby bar. The rooms tend to be spare and small - if you can swing it, book a suite for more space. Shop and Stroll: Directly in Mamilla’s backyard sits the Mamilla Mall, an upscale, open air shopping street running perpendicular to the Old City Walls. The mall spills into the Jaffa Gate at its southern end and the entry into the old city. It truly is a bridge between the modern and the ancient. Stroll along Mamilla Avenue, enjoy the street performers, and browse the designer boutiques, restaurants, and cafes. We certainly made Aroma Café part of our daily routine. 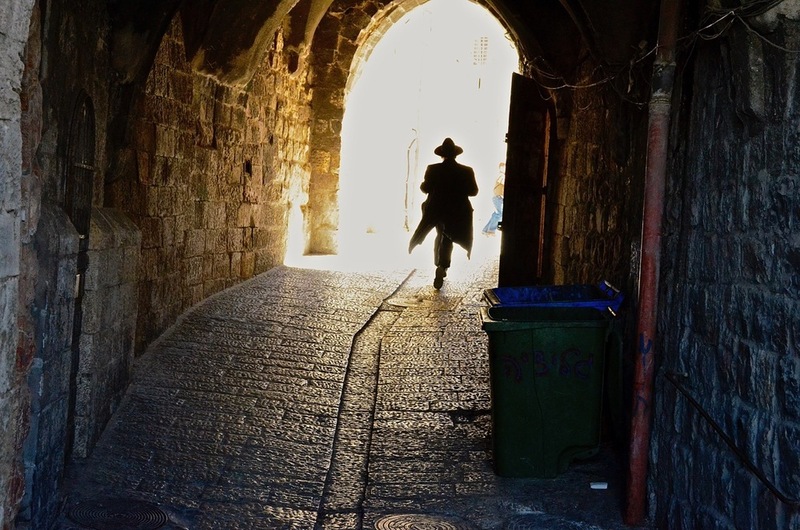 Morning Sights: From the Mamilla Mall head into Jerusalem’s Old City: the heart and soul of Jerusalem. The walled area within modern Jerusalem is divided into four quarters: the Muslim, Christian, Armenian and Jewish Quarter. Wander the old ancient alleys and winding streets, a sensory overload of sights and smells. The Arab souk is a colorful bazaar of both jewels and junk —haggling is welcome and definitely expected. 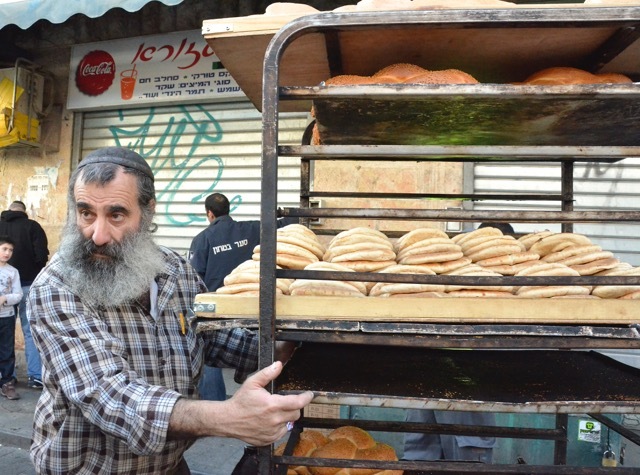 You’ll pass vendors selling the freshest vegetables and fruits, breads, pickles, and falafels. Buy some saffron and za’atar to bring home. Pilgrimage: Years ago on my first visit to the Old City, I was surprised and fascinated that the most revered sites for three of the worlds major religions: Jews, Christians and Muslims were so close to each other; all within walking distance. Land so close, yet beliefs miles apart. The Temple Mount is hallowed ground to both Muslims and Jews. To the Jews, the Mount is revered as the place where both the First and Second Temple’s stood. It is also home to the Dome of the Rock and the Al Aqsa Mosque, two of the most holy sites in Islam. Only Muslims can enter the mosque, but the plaza is open to everyone. Next make your way to The Western Wall, also known as the Kotel or Wailing Wall, the most sacred site of prayer for the Jewish people. Set aside some time for a few minutes of quiet contemplation (many people choose to leave a small message of hope or prayer on a piece of paper between the cracks of the wall) before proceeding to the Southern Wall Excavations to see the original steps that lead to the Temple Mount. Next, take a tour through the Western Wall Tunnels, an incredible labyrinth of tunnels, arches and passageways. In the Christian Quarter, it’s a must to walk down the Via Dolorosa, following Jesus’ final steps, and ending at the Church of the Holy Sepulchre. According to Christian belief, this is where Jesus was crucified, buried, and later resurrected. The old city will leave a lasting impression, a spiritual experience unlike anywhere else in the world. Lunch: A bowl of Hummus in Israel is a so much more than a dip; it’s both part of the everyday meal and the national dish of Israel. Hummus fanatics abound, debating it’s origin –was it the Israelis? The Lebanese? And everyone has an opinion on which restaurant serves the best version! Some swear Abu –Shukri in the Muslim Quarter has the best Hummus in Jerusalem, while others argue Hummus Lina in the Christian Quarter is superior. You decide. Ancient History: The Bible comes to life as you walk through the City of David, more than an archaeological park; it’s the birthplace of the city of Jerusalem. This is where King David conquered the city, making it his capital. You’ll see evidence of King Solomon, and the early Kings of Israel. It’s where Isaiah and Jeremiah spoke, where Nehemiah built walls that still stand, and where King Hezekiah built a water tunnel to protect his people. Start by watching the 3D movie for all the facts, explore the ancient ruins and then put on your water shoes, grab a flashlight, and wade through Hezekiah’s Tunnel. Sunset: End the day at the Mount of Olives to enjoy the magnificent panoramic view of Jerusalem at sunset. (Another ideal time to visit is in the early morning) The hillside, covered by thousands of gravestones, is considered to be the holiest of cemeteries. If you want to play tourist, camels are available for rides at the top. Dinner: Machneyuda, inspired by the market, is fun and funky; it is one of the hottest restaurants in Jerusalem so book well in advance. Chakra is another top choice, also busy and popular, recently redone and relocated. It’s informal, chic and contemporary with delicious food and a great wine list. Memorial: Book a guide in advance (you must do it directly through the museum, private tour guides are not allowed inside) at Yad Vashem , a memorial to the six million Jews who died during The Holocaust. Spread out over 16 acres this complex of museums, exhibits, monuments & memorials is extremely moving and powerful. The story of the Holocaust is presented in a uniquely first-hand perspective through original artifacts, survivor testimonies and personal possessions. After this emotional visit, proceed to the 9/11 Living Memorial, built in memory of the victims of the September 11 terrorist attacks. Designed by award winning Israeli artist Eliezer Weishoff, the memorial depicts the World Trade Center and Pentagon through sculpture and landscape architecture. Lunch: Time to head to the colorful Mahene Yehuda Market and become immersed in the bustling energy of Jerusalem’s shuk. This must visit open–air market is filled with a dizzying assortment of vendors selling the best quality produce, spices, freshly baked breads, cheeses and more. It’s fun anytime, with Friday afternoons especially busy and boisterous, as local Jerusalemites shop in preparation for Shabbat. When you’re ready to eat, search for Azura, located in a courtyard just off the main drag. (Ask the local merchants if you can’t find it) This family owned restaurant is well known for it’s traditional Middle Eastern food, some call it Jewish soul food, a mix of Turkish, Kurdish and Iraqi influences. Order their famous Kubbe soup. Museum: The Israel Museum is one of the leading art and archeology museums in the world, especially after a 100 million dollar and three-year renovation a few years ago. Allow some time to explore this huge, impressive museum. It’s worth a visit just for the Dead Sea Scrolls, a must-see. And don’t miss the new Holy Land Model, a miniature replica of Jerusalem as it was during the Second Temple Period. Stroll through the Isamu Noguchi-designed sculpture gardens and make sure to check out the new site-specific works by Anish Kapoor and Olafur Eliasson. Night Show: I highly recommend the surprisingly stirring sound and light show at the Tower of David, a medieval fortress located near the Jaffa Gate, the historical entrance to the city of Jerusalem. If your husband or kids don’t want to go after a long day sightseeing, insist. The 40-minute entertaining extravaganza depicting Jerusalem’s history is projected on the walls of the ancient citadel using 3D technology —it’s a unique, super cool sensory experience. Dinner: Set in an ancient stone building just outside the old city walls, Eucalyptus is not trendy or chic, but rather a memorable food experience unique to Israel. The menu offers a modern interpretation of foods from the bible, for example Jacob and Esau’s lentil stew. It’s best to order one of the tasting menus, a feast of courses that allows you to sample Chef Moshe Basson’s most famous dishes. Looking for something other than Middle Eastern cuisine, head to Lavan serving Italian food with amazing views of the Old City. 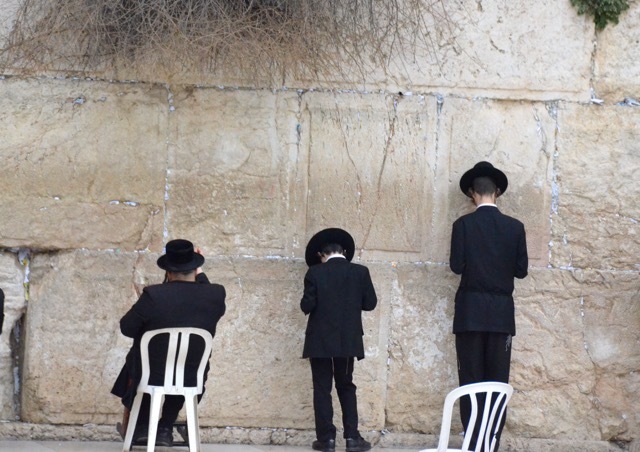 Only on Friday: It is very special to experience the beginning of Shabbat at the Western Wall, it is well worth configuring your trip to be in Jerusalem on a Friday night. Filled with people from all over the world and tons of Israeli soldiers singing and dancing it is truly a magical evening that will stay with you long after you return home. Desert Sands: Drive out of Jerusalem through the Judean desert into the Jordan Valley to reach Masada. The fit should leave time to hike up the snake like path (it takes about 45 minutes to an 1 hour) or hop on the cable car, a five-minute ride to the top. Masada is the dramatic site where, in 73A.D., 960 Jewish settlers committed mass suicide rather than become slaves to the Roman army surrounding their fortress. Explore the well preserved archeological remains of daily life for the settlers: the bathhouse, mikvah, synagogue and storerooms. The views up top are extraordinary and what’s most astonishing is that you can still see remnants of the Roman camps in the sands of the desert below. Soak: Time to take a therapeutic soak in the Dead Sea, the salt water is good for you so try and float for at least 15-20 minutes for the full therapeutic effect. Kids will love layering on the mud, just be careful to avoid getting it in your eyes, and beware don’t shave before hand—the salt will sting! Warning: there is nothing fancy about the spas at the Dead Sea, all are very basic with lockers to store your clothes and showers to rinse off in after. There is not much privacy so leave your modesty back at home and just go with the flow. One More: If you have time, and energy left, take a short hike to Nahal David, the fresh water spring at Ein Gedi Nature Reserve, a lush oasis in the Judean desert overlooking the Dead Sea.